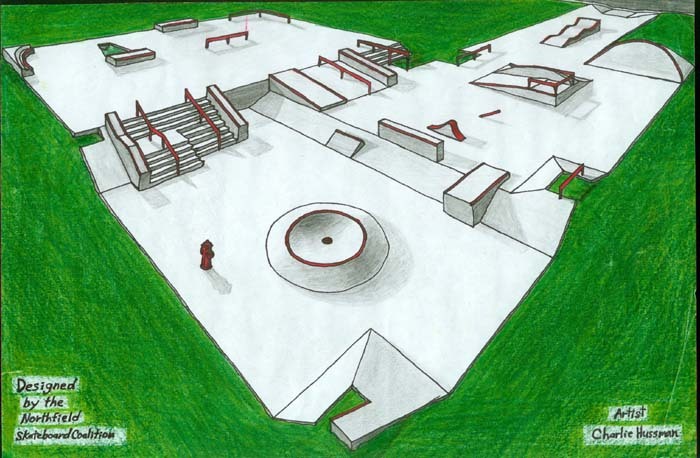 …the Skate Park, at least in concept, has returned! 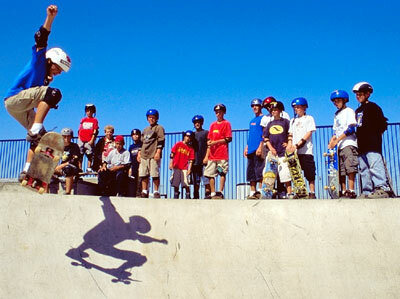 So, tune in to the Locally Grown podcast on this website or listen to the radio broadcast (KRLX 88.1 FM) at 4:30 pm on Tuesday to hear the latest on the proposed Skate Park. 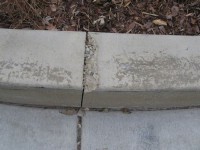 I blogged about the damage to the concrete edging of the new downtown streetscape area next to the library earlier this month. 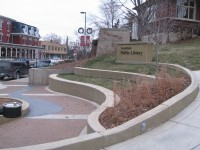 I learned from those contributing to the comment thread that the metal plates that were originally installed to prevent skateboarders from using the edge had been vandalized/knocked off. I noticed this morning that new anti-grinding plates have been installed. Click photos to enlarge. I’ll assume that that’s quick action on the part of our fair city’s public works department unless someone has more accurate info. …no, this isn’t an ad for local architects and engineers, it is the sharing of some exciting news triggered by Kiffi’s comments on the Library Plaza. I sure hope Zach Pruitt is out there and paying attention to this blog posting, ’cause I’m getting in way over my head on this subject. There is a youth-driven task force that has been meeting for five months to design a new skate park for Northfield. I guess the reason that the last skate park didn’t work was that it didn’t have user input into the design, the skaters didn’t like it, and it didn’t have insurance industry input into the design (thus requiring fencing and staffing), and the City didn’t like it either. The proposed design has both user and insurer input and so will be fun and not require fencing and staffing. Apparently the skate park in Rochester is both a community asset and a regional draw. Don’t take my word for it, ask Zach. Crappy design, crappy construction, or crappy behavior? Every single joint on the sloping concrete edging of the new downtown streetscape area next to the library at Division and 3rd St. is crumbling, evidently due to skateboarders. It looks like it’s going to be an ongoing problem… expensive to constantly repair, and more hassle for the police to enforce. Who designed this, um, feature? Who approved this design? Who’s responsible for making a change? Other topics briefly touched: Center for Sustainable Living’s Community Composting project, the Farmer’s Market, Mill Towns Trail, Third Thursday, and the proposed Northfield Skateboard Park. You won’t hear my voice, as I was off to a meeting in the Cities with my financial advisor who’s also on my compensation committee. Click play to listen (23 minutes). You can also download the MP3 File, subscribe to the podcast feed, or subscribe with iTunes. The show airs and streams on the web on Tuesdays at 4:30 PM on KRLX 88.1 FM. We seek your comments and suggestions. Attach a comment to this blog post, use the Contact Us page to send us email, or submit an audio comment.